The first piece of advice that comes from Dale Carnegie’s seminal book, How to Win Friends and Influence People, is don’t condemn, don’t complain and don’t criticize. In other words be happy and stay positive. Carnegie published the book in 1936, and it has gone on to sell over 30 million copies. The book went on to be named #19 on Time Magazine’s list of 100 most influential books in 2011. The book may be responsible for launching the entire self-help industry. And his first piece of advice was about mental attitude. I come into contact with so many people in so many professions and industries that have read the books and taken the courses – yet, I still hear so much criticism, complaints and condemnation. Especially these days. You can bet that if you have a stressful work-life there is plenty of complaining going on. I assume if it were that easy then we would have happier people working in happier workplaces. I also guess that happiness must be in high demand if so many people have been spending their hard earned money on the search for joy. Maybe they’re just going about it in the wrong way. My recent blog posts have centered around my latest book, A Short Guide to a Long Career, which you can download free from this blog. This post is about improving your point of view which may just be a better starting point for happiness than trying to remember never to complain, condemn or criticize. I am a big fan of simple ideas that I can create habits of thought around…let me explain. And heuristics can make our lives easy…if we can pull up the right rule at the right time. That’s why studying what truly creates positive emotions and happiness is more effective. Once we know what creates happiness and success then we can use our rules of thumb to create habits that will guide us on how to live a happy life. And it all starts with mindset. If you are unfamiliar with that word, or use it like just another common piece of your vocabulary, then I suggest you read Carolyn Dweck’s very remarkable book, Mindset: The New Psychology of Success. It’s a good starting point for those of us who fall into the “oh so human” trait of negativity through judgement which leads to —complaining, criticizing and condemnation. In time we develop a more positive worldview or perception of how really is rather than some of the negative explanations we create that lead us down a gloomy path. 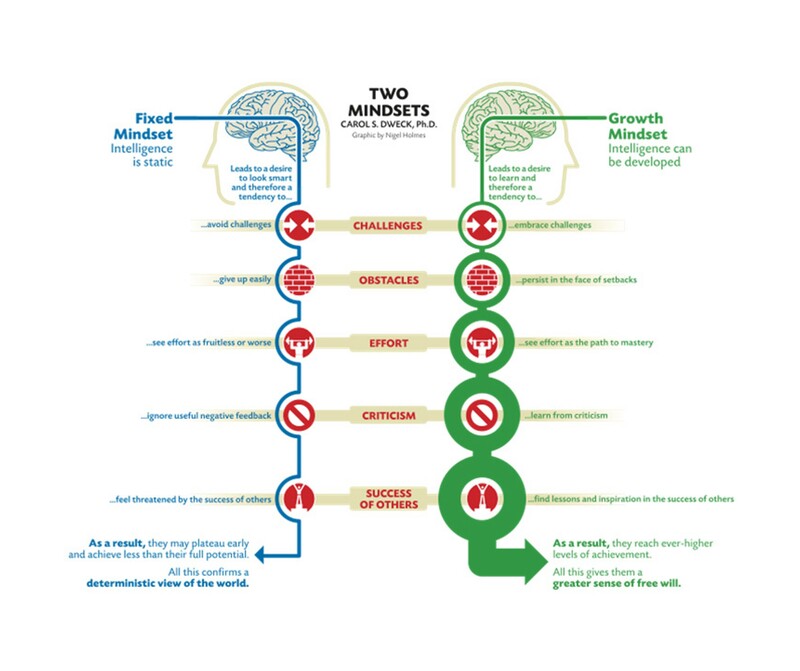 Dweck’s research led her to describe two basic mindsets: the fixed mindset which is also called the judging mindset, and the growth mindset. I won’t spoil this movie, but I will tell you that the growth mindset is preferred. I guess that is what is meant by having a learning mindset. But it’s not just about dentistry (or any vocation)…we really have two tasks—to learn an occupation that we love and to be a good person. Reach for a better thought. I don’t watch much TV these days, but last week I found myself watching two made-for-TV specials, one about Bernie Madoff and the other about O.J. Simpson. Most would agree that these two were possibly the greatest monsters of our time. Most of us got to witness the behaviors of these two men. Madoff was particularly interesting to me because we came from the same town, and we went to the same high school. My brother-in-law was in his graduating class. 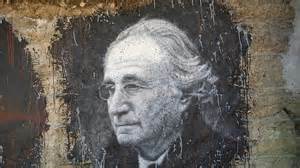 And Peter Madoff, Bernie’s brother was the president of my college fraternity. No real surprises there, but something struck me about the screenplay. Three times during the show Bernie Madoff repeated the line: “Trust is the basis for all long-term relationships.” Most of us who watched it heard the line because it was repeated again and again. But most of us probably let it go by like a sudden chill in the room, or a fleeting pain. Not me. This blog is about Trust, Appreciation and Ownership, and I have been writing about the importance of trust for dentists, in every human interaction…it is not only the basis of all long-term relationships, but the entire substructure of any well-functioning organization from a family to a country to a planet. A few days later I got a phone call from a dentist who questioned what would happen if Bernie became a dentist, or a doctor rather than going to Wall Street. It could have happened considering his socioeconomic background. Now, granted people like O.J. and Bernie are special cases…people who totally lack even a trace of empathy, and we all know that the opposite, people like like Mother Theresa, are just as rare. So they don’t shock me. What shocks me is the public’s reaction…to the SEC. The SEC is a government agency that is set in place to protect the public. Who can we trust if we can’t trust those who are there to protect us? My friend, the dentist, was saying that we see this in our profession all the time…frtom every angle…the dentists, government, corporations, insurance companies and even the public itself. In 1979, during the more idyllic days of dentistry, I traveled to Los Angeles to hear a presentation of alternative ways to deliver dental care. This one discussed the new retail dental office concept that was being set up in L.A. The first one was in a Sears store in El Monte California, a small industrial town just east of Los Angeles. Two very polished salesmen spent two days trying to convince dentists that this was the future of dentistry. They were brothers, very well trained and very convincing. I left L.A. with a bad taste in my mouth…not because of the business model, but because of the way they objectified patients. That was in 1979. I lost track of that concept, but not the language that I continued to hear over the last 35 years, from non-dentists and dentists alike who have objectified the patient experience and used trust as their method to persuade. Very effective…and unethical. A paradox that would make anyone shiver. Trust…the force that can be used for good or evil. We can choose to be Luke Skywalker or Darth Vader…yet mostly we sleepwalk through these choices. I have witnessed dentists and doctors using the force for good and evil…it all comes down to —who are you? For years, we in dentistry have seen outsiders take what used to be a “noble” ethical profession and turn it into business as usual. Who protected the profession? Certainly not the dentists. Most went along with the status quo. I wonder why? Because we sure express our displeasure to each other. Certainly not the insurance companies or corporations. They only talk about the human side of dentistry but continue to look at numbers and take away our autonomy- in one way or another. And most important…not the patients. Many actually are crying out for more of the same. At the end of the Madoff movie there was a voice-over as Bernie, thinking he was innocent, was blaming the system…the SEC, the public who he cheated because they wanted to make money because of their own greed. He has a point…yes, my dental friends…we see this playing out everyday. In 1973, while in dental school I read the influential bestselling book, Working⁠ by Studs Terkel, the late Pulitzer Prize winning author. In that book Terkel reveals a well-founded conviction, that our universal search is the one for meaning, the subject of Viktor Frankl’s classic book Man’s Search for Meaning. I recently re-read parts of Working. I was particularly interested in the dentist, Dr. Stephen Bartlett who at that time had been practicing in a Detroit suburb for nineteen years. The interview could have been done today. Bartlett’s complaints about dentistry: that it was physically demanding (he stood all day and refused to change to 4-handed sit-down dentistry), that most patients were under stress, that he had to deal with cancellations and mostly that only he knew when he did a good job. 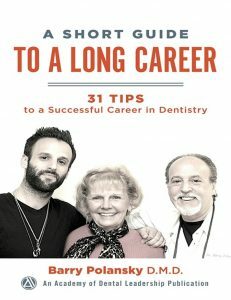 He also spoke about what was appealing to him: that he could practice dentistry as he liked (autonomy), that he had the opportunity to play a role in the lives of his patients by changing their appearance (meaning), that he was his own boss and could make his own hours. I thought how similar the job is today…but like Viktor Frankl during his life—something happened…beyond his control…World War II. In other words the landscape has changed. The human factors have remained the same. Our jobs provide us with a sense of meaning and purpose. No matter how much technology has made dentistry more pleasant…people still have fears and cancel. Some might say, and I agree, that the sixties and seventies were the Golden Age of Dentistry. It was a time when a dental practice offered as much autonomy as a dentist wanted. It was the the ultimate in free enterprise. 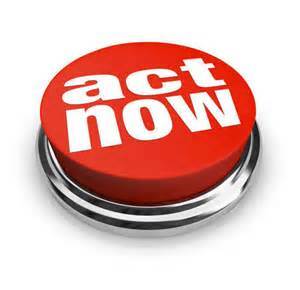 We knew the score, graduate, specialize or open your own practice, hang up your shingle and go to work. Easy-peasy. If you were a people person, even better. If not, no problem, just work some nights and weekends. There have been many changes since those years. The effect of insurance and third parties, as many dentists know, is not a simple equation. Insurance has had the effect of lowering the standards and quality of dentistry by discounting fees and creating their own networks—no matter what the insurance companies tell us. Advertising may be the holy grail of the free market economy, but under the guise of “educating the public,” it has been abused to the point of bringing out the worst in dentists…and once again creating conditions that force (too strong? I know) dentists to work for less. 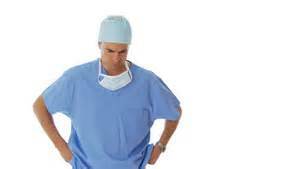 Then there is the economy and the shrinking middle class…and the expense of opening a practice. 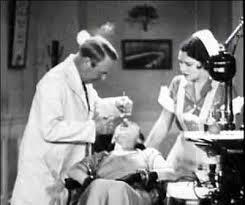 Yes…there was a price to sitting down and doing 4 – handed dentistry, Dr. Bartlett. Enough with the bad news. There is good news—those things that appealed to Dr. Bartlett? They still exist. They’re timeless…and just like Frankl’s response in the death camps of WWII…it is up to us to respond to our present conditions. It has become more difficult to practice with meaning and autonomy. We must make our own meaning. Leaders are meaning makers that is why I feel leadership needs to be emphasized in this profession. The Martian – A Self-Help Movie? I am a sucker for self-help books. I am not into the Kardashians, Dancing With the Stars or Entertainment Tonight, but put a self-help book in front of me and I’ll devour it in a day or two. I have read them all – under the hope of becoming a better person, improving my business or my favorite…setting and achieving goals. I am not alone. Self-help books moved from a niche position to being a cultural phenomenon in the late twentieth century. It is estimated to be an $8 billion a year industry in the US alone. 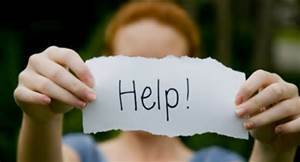 A self-help book is one that is written with the intention to instruct its readers on solving personal problems. The books take their name from Self Help an 1859 best-seller by Samuel Smiles. Some respected psychologists like Mihalyi Csikszentmihalyi have argued that self-help books will clearly not help people to become thin, rich and well-adjusted; indeed they will probably have no effect whatsoever. Worse, some have claimed self-help books are actually bad for us by promoting ‘false hope syndrome’. And that is what brings me to America’s first self-help movie, The Martian, Matt Damon’s new blockbuster that is drawing massive attention and attendance. For many it’s a thrilling story, but for me, the sucker for self-help, it was another guide to goal setting. I mean if his goal was to get back to earth from Mars (that’s 50 million miles), then what the hell, my production goals are a joke. Take a look at that photo of him—all smiles and thumbs up. Talk about having a good attitude. Without giving away the plot (duh), I will attempt to point out some of the many self-help principles Damon used to get back to earth…principles that have actually guided me through my own personal journey. Be a life-long learner. Commit to knowing your work as they taught me at the Pankey Institute many years ago. Damon’s character was a botanist. Think how handy that knowledge could be when you are stranded on a planet without water. Be a goal setter and monitor your progress. These two go together because just setting a goal without understanding your deadlines and progress is just a dream. Our film’s astronaut knew exactly how many days he had to get back to earth and how much rations he needed to get there. The story really takes off when they have to figure out every component of his rescue was necessary. As an author I can tell you that writing a book is nothing compared to getting home from Mars – so reaching your monthly production goals—piece of cake. Fail Forward. Look, no one bats .1000. Murphy’s Law is always in play, besides, what kind of movie would this be if nothing ever went wrong. The key is to pick yourself up and use the failure as a learning experience. It’s a good thing Matt was familiar with Thomas Edison’s lessons learned from inventing the lightbulb. After failing 10,000 times he told a reporter he learned 9,999 ways it didn’t work. 5. Have Fun. Once again, as you can tell by the picture above, Damon continued to maintain a positive attitude throughout his mission. Tough to do? Sure, but attitude means everything. 6. Leave Your Legacy. Once again, I won’t ruin the movie for you but understand that Damon had people on Earth that needed him back. He becomes a mentor—a teacher—because in the end we are all here to pass the baton. Enjoy the movie. Hollywood has an agenda. How else can we learn life lessons these days? The Kardashians? Comments Off on The Martian – A Self-Help Movie? Not a day goes by when I don’t have to tell someone that they have a cavity, periodontal disease or worse yet, how much it will cost them. And it’s not just the dentistry: how about when a case comes back from the lab and the shade is off or worse, we need to take another impression. In a dental practice the situations are endless. This is not the fun part of a dentist’s job…and many dentists paradoxically try to avoid it. A longtime patient comes in for a routine cleaning and you discover early decay under a old long-span bridge. It’s a bridge you made for her fifteen years ago. She comes in regularly and she has not needed work in years. You know she’s under the impression that as long as she flosses daily and comes in on a regular basis that she is immune to major problems. Worse yet, she is recently divorced and approaching retirement. Tense times…for everyone, unless of course you lack empathy. That’s another problem, but if you truly want to master the art of delivering bad news better – then this may interest you. Leadership and communication lie at the center of your success in dentistry. Present your case in a positive manner and you will get more acceptance, less complaints and most importantly better health for everyone. In the past I have written blog posts about the charismatic dentist and empathy…delivering bad news better can go a long way to improving your charisma scores. In a new book, Broadcasting Happiness, The Science of Igniting and Sustaining Positive Change, author Michelle Gielan offers her Four Cs on how to deliver bad news. If you practice the Four Cs I am sure your dental practice will become more positive in every way and you will never complain about “people” again. Create Social Capital. A buzzword being used these days in business and sports, is culture. But what exactly does that mean? Dental practices need to build cultures of trust. Covey, years ago referred to an emotional bank account. Social capital refers to the resources that we have available to us based on trust and the willingness of practice to support our actions. For patients of record this trust is built up over the years. For new patients it is built through the examination process, and how the practice welcomes patients in. Other resources include our ability to communicate, educate and motivate through listening and clear expression of thoughts and ideas. Give Context. How you frame your conversation means everything. If we frame our treatment in negativity…pain, cost and inconvenience, our acceptance will go down. Just this morning I entered my hygiene room and my patient sensed my presence and said, “Uh Oh!” She was joking, but let’s be honest most patients frame their dental visits negatively. One way to provide context is to use what I call a “reason why philosophy.” It takes a bit longer but I usually give a thorough explanation about why I need to do dentistry. Not only what needs to be done but why it needs to be done. This takes a bit of skill. but it can be learned. Many dental practices use what author Gielan calls a Band-Aid mentality in delivering bad news- they just rip it off fast so it won’t hurt as much. I hate when that happens to me…the reason why philosophy builds trust. This comes up more often than we might think. Even in the case of a patient who repeatedly refuses x-rays…just saying “because I said so,” doesn’t inspire trust. Taking the time to give a well thought explanation goes a long way. Express Compassion. One of the strangest things for me to understand is noticing how so many of my dentist friends feel when they are on the receiving side of bad news. And I mean any bad news. They especially love to complain about the cost of things these days, yet they have no problem dispensing the bad news. It’s human nature to not take bad news well. Just knowing that means we have to step back and show empathy…it’s appreciated. Dentistry is expensive these days. If you’re reading this and getting angry because your fees are justified, I get it. You know who doesn’t get it? Most patients, so show compassion. Talk about it. And it gets worse when it’s your work that fails. According to Michelle Gielan, compassion not only makes moral sense, it makes business sense. It has been two weeks since the second Republican debate was televised to the American public. I found it ironic that the debate was held at The Ronald Reagan Library in Simi Valley, California. The backdrop for the event was Reagan’s presidential plane, acting as a constant reminder of the deceased ex-president. America learned many things from the debate…but this blog is about dentistry and life, so I will leave that discussion to those who choose to argue about the political issues. I want to go beyond the issues to the candidates and how they choose (or don’t choose) to get their message across…because we all have a message to get across, and our success depends on how we do it. 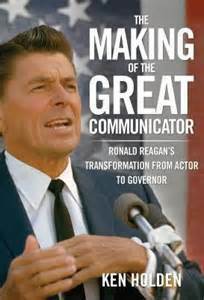 The setting was ironic because Ronald Reagan was a master of leadership and communication. He was the Great Communicator. The irony reared its ugly head throughout the evening as many of the candidates acknowledged Reagan’s ability and ranted how our country lacked leadership…and then proceeded to insult each other and carry on as if it were a street fight. The irony was that the issues got lost in their expression. That is still holding true two weeks later. How we say something is more important than what we say. Maybe that is the lesson from the grave. Communication is the gateway to better leadership. During the debate I tried to see through the issues and concentrate on how each candidate chose to get their message across. Who could deny the haughtiness of Trump, the contentiousness of Fiorna, the humility of Carson or the storytelling ability of Rubio? My own affinities toward or against these styles was irrelevant especially during the debate while my emotions interfered with what was really going on. All the while Reagan’s image watched over…The Great Communicator. It has been two weeks since the debate and I find it interesting how the polls have moved. Trump is trending downward while Carson and Rubio upward. And Ronald Reagan is smiling from the grave. Communication will out the real leader…it always does. But I digress…this is a dental blog. Everyday we have our platform. We have opportunities to impress our public everyday. Our new patient examination is our platform. We cannot abuse the platform. We have abused the platform—some of us are Trump, some Carson, some Fiorina. Watch these candidates, learn what creates followers and what doesn’t. Mostly, understand that your message and how you express it will determine your success, and never, never, never abuse your platform.